Scott will be at fundraising events out of state. Gov. 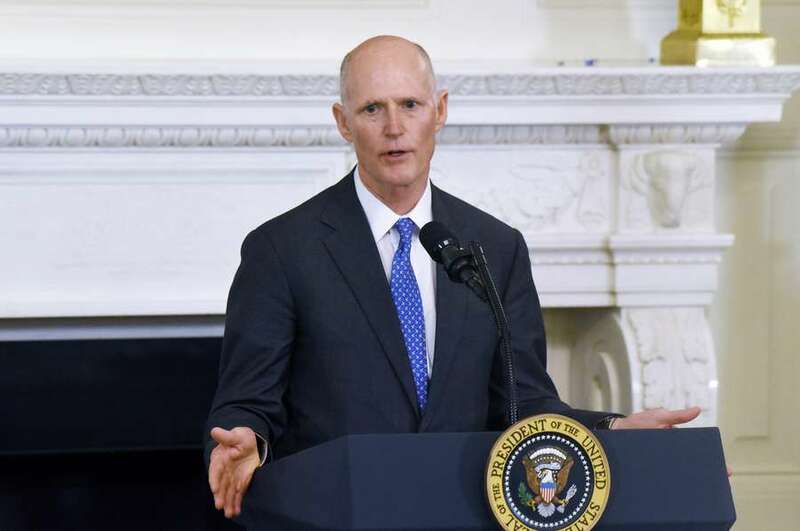 Rick Scott will not attend a meeting in Miami with President Donald Trump, and instead will be fundraising out of state (UPDATE: Chicago) for his U.S. Senate bid, according to the campaign. Trump is hosting a roundtable discussion in Hialeah on the $1.5 trillion tax cut package he signed into law. It's Trump's first visit to Miami since he came to Little Havana last June to announce his Cuba policy — an event in which he teased Scott about running for Senate. "Great job. He's doing a great job. I hope he runs for the Senate. I know I'm not supposed to say that. I hope he runs for the Senate," Trump said then. "Rick, are you running? I don't know. Marco, let's go, come on. We got to get him to — I hope he runs for the Senate." Since launching his campaign on Monday, Scott has not mentioned Trump in numerous events across Florida. Scott will fundraise on Thursday in Washington.